Wrekmeister Harmonies’ new album, The Alone Rush, their first as the core duo of JR Robinson and Esther Shaw, is a hauntingly intense and dark meditation on death and isolation, whose concise compositions carry an emotional heft without the orchestrated bombast of their previous four albums. 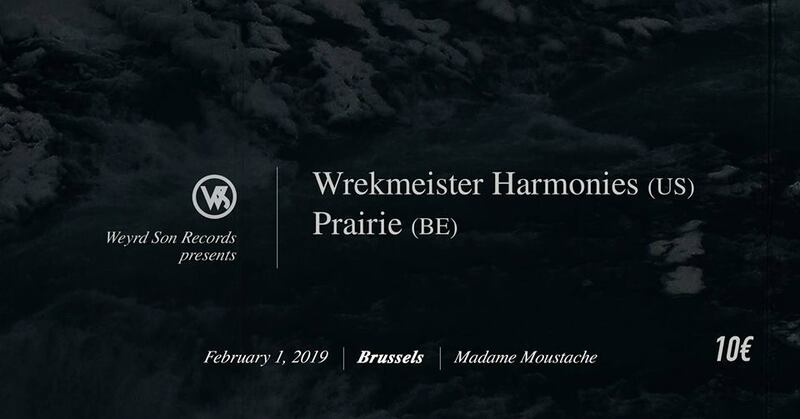 The Alone Rush retains Wrekmeister Harmonies’ expansive and ambitious aesthetic, blending waves of ethereal keyboards, haunting string melodies, and crescendos of dissonance, but now turns central focus towards Robinson’s deep, rich, and soothing vocals. The two guests involved in The Alone Rush are longtime friend and Swans drummer Thor Harris, performing minimal drums and clarinet, as well as acclaimed New York producer/engineer Martin Bisi. Keeping the album’s deeply personal subjects in mind, Robinson and Shaw aimed to maintain the material’s emotional potency through an intense intimacy. Harris’s contributions were immediately resonant and in touch with Shaw’s and Robinson’s. It was not until after the recording was complete that Harris informed them about his own deeply personal loss.